ROLOFF, LESTER LEO (1914-1982). 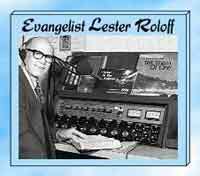 Lester Roloff, radio evangelist and humanitarian, was born on June 28, 1914, on the family farm near Dawson, in Navarro County, the youngest of three sons of Harry Augustus and Sadie Isabel (McKenzie) Roloff. He received his early education in a one-room country school. Raised in a strict Baptist atmosphere, he determined to preach at age eighteen and the following year picked cotton in West Texas to earn money for his college entrance fees. To pay for his room and board at Baylor University, Lester took his Jersey cow, Marie, with him and sold milk during his first three years of college. After graduating from Baylor in 1936, he attended Southwestern Baptist Theological Seminary in Fort Worth for three years. On August 10, 1936, he married Marie Brady; they had one daughter and adopted another. Roloff started preaching during his senior year at Baylor, pastoring country churches at Navarro Mills and Purdon on a half-time basis. After moving to Fort Worth he pastored the Baptist congregation at Trinidad, in Henderson County. Following graduation from the seminary in 1940, he and his family moved to Houston, where he pastored the Magnolia Park Baptist Church. In the mid-1940s he accepted the pastorate of Park Avenue (later Second) Baptist Church in Corpus Christi, which was henceforth his home base. There he organized the Baptist Ministerial Alliance, of which he was first president, and on May 8, 1944, launched his "Family Altar" radio program over a 250-watt station; later the broadcast was moved to KWBU, a 50,000-watt station in Waco. His home church experienced phenomenal growth, and in 1946 he opened Park Avenue Christian Day School as an extension of that ministry. Almost from the time he began preaching, Roloff was in demand as a revival speaker. In the fall of 1950 he completed the revival meetings of B. B. Crim in Corpus Christi after Crim's death in an accident. That experience led Roloff to resign his pastorate the following spring and go into full-time evangelism. On June 8, 1951, his ministry was incorporated as the Roloff Evangelistic Enterprises. Whether from the pulpit or over the airwaves, Roloff preached a scripturally based, no-nonsense Gospel message that reflected his conservative background and fundamentalist approach. His scathing attacks on alcoholism and other national sins often triggered criticism from more liberal elements, while his renditions of Christian hymns and folk songs like "When Jesus Comes" and "The Little House on Hallelujah Street" won him considerable notice as a Gospel singer. His tenacious refusal to compromise his personal convictions resulted in a gradual break with the Baptist General Convention of Texas and the Southern Baptist Convention. In November 1945, while chairman of the Baylor Civil Rights Platform Committee, Roloff had opposed his alma mater's decision to grant President Harry S. Truman an honorary degree because of the latter's salty language and failure to uphold certain Bible standards in daily life. Many denominational leaders began branding him as "controversial," and invitations to lead revivals and serve on committees lessened. Even so, his own ministry continued to expand, and in October 1954 he organized the Alameda Street Baptist Church, which gained 374 members within its first six months. Among other things, this church took over the Good Samaritan Rescue Mission, a ministry to alcoholics and addicts, in Corpus Christi; later a second such mission was opened in Big Spring. Roloff started a monthly newsletter, Faith Enterprise, in May 1955, and later on he published a small booklet entitled Food, Fasting and Faith, which contained biblical guidelines to wholesome nutrition. During that time he obtained his pilot's license and started his own "airborne" ministry. After the Baptist General Convention of Texas, which owned Station KWBU, canceled Roloff's radio program, the station went broke. Roloff Enterprises bought it, moved it to Corpus Christi, and revived it as Station KCTA (for "Know Christ the Answer"), over which the daily program has continued to be aired. By 1956, after delivering a sermon against denominationalism at Waco Hall on the Baylor Campus on March 13 of that year, his break with the Southern Baptist Convention was complete. Based on his church's success with the Good Samaritan Missions, Roloff and his helpers in 1956 opened the City of Refuge, a rehabilitation center for men and boys whose lives were ruined by drugs, alcohol, or trouble with the law. Originally located near Lexington, in Lee County, the center was moved in 1964 to the lower Rio Grande valley near Mission. Two years later, as the City of Refuge program mushroomed, the men aged twenty-five and older were moved to new facilities on the grounds of an antebellum plantation near Culloden, Georgia, that Roloff Enterprises bought, while the boys remained in the Valley. At Culloden the ministry started its first rehabilitation home for troubled women during the 1960s. In the summer of 1958 Roloff launched his Lighthouse ministry by having a houseboat dormitory built in a remote fishing area on the Gulf Intracoastal Waterway,qv accessible only by boat or plane. Here boys and young men addicted to alcohol and drugs or on probation were isolated from civilization for periods of time, so that they could get their lives straightened out in a quiet seaside environment. This program enjoyed phenomenal success, thus necessitating additional facilities, and thousands of young men in jail who were sent to the Lighthouse by judges and probation officers came out as model Christian citizens; many became ministers of the Gospel themselves. While conducting a revival meeting in Dallas in September 1967, Roloff was approached by some friends with a pregnant fifteen-year-old girl who had nowhere to go for help. After Roloff made a public plea on the girl's behalf from the pulpit, she was taken in by Raymond and Ernestine Weatherford, Roloff ministry supporters from Athens, Texas. By December the Weatherfords had five more unwed mothers or delinquent girls in their home. Consequently, Roloff Enterprises began the Rebekah Home for Girls in Corpus Christi in January 1968, with the Weatherfords appointed as its first supervisors. Here many troubled and rebellious young girls were offered a complete Christian academic program, including athletics, choir, and special education classes, with college courses available. Summer programs were available, as well. Among other things, the girls were taught homemaking and to dress and conduct themselves "as becometh holiness." Soon thousands of calls requesting entry into the Rebekah Home were made each year, and many had to be turned away due to lack of room. Girls' choirs and ensembles from the home often accompanied Roloff and his associates on tour. A branch home for the Rebekah ministry was also established in Hattiesburg, Mississippi. In 1969 Roloff Enterprises purchased 600 acres on Farm Road 665 near Cuddihy Field, south of downtown Corpus Christi, for its new headquarters. There Roloff established his People's Baptist Church. Dormitories and a school were erected for the Rebekah Home, as were new facilities for the City of Refuge and Lighthouse ministries. The Jubilee Home was built for troubled women, age eighteen and above, and the Lighthouse, which continued to use the Intracoastal Canal buildings for fishing and camping, limited its ministry to young men between the ages of eighteen and twenty-five. The Anchor Home was begun for troubled boys under the age of eighteen, complete with a Christian school curriculum, a choir program, and vocational-training courses. At the same time the Peaceful Valley Home, a retirement community for Christian senior citizens, was opened near the Lighthouse facility at Mission. In all, over the next decade, Roloff Enterprises erected two rescue missions and eight homes for people of all age groups in need of help. Roloff's greatest battle began in 1971, when the Texas Department of Public Welfare (later the Texas Department of Human Servicesqv) sent him a letter demanding that the enterprises either have the Rebekah and Anchor homes licensed, which meant conforming to the department's largely secular regulations, or close them down. Roloff and his associates staunchly opposed the agency's order, considering it a clear case of breach of church-state separation. The controversy resulted in charges of neglect and brutality, attacks by the Corpus Christi Caller-Timesqv and other Texas newspapers, weeks and months of counseling with attorneys, appearances in court, and numerous meetings with officials in Austin. Through it all, Roloff and his supporters stood firm in his belief that "love never overrides conviction," and many young lives continued to be salvaged through the Rebekah and Anchor Homes. Finally, Roloff reluctantly allowed the homes to be closed temporarily in October 1973, but on February 12, 1974, he allowed himself to be incarcerated for five days in the Nueces County Jail, where he had often preached to prisoners, in a successful move to reopen the homes. Finally, Roloff was granted a temporary reprieve in May, when the Texas Supreme Court ruled in his favor. With the passage of the Texas Child Care and Licensing Act in 1975, however, the conflict surfaced anew. This legislative bill, which many believed had been aimed specifically at Roloff Enterprises, became law in January 1976. It stated that children under eighteen must be placed in child-care facilities licensed by the DHS. Roloff and his supporters again refused to back down, and despite favorable reports on the facilities by Attorney General John Hill and state welfare inspectors, the DHS served a restraining order in May 1976. On June 21 Roloff again went to jail, again for five days, in an effort to keep the homes open. Then in October, the homes were again shut down and many of their residents taken by police to the Texas Youth Prison and other state juvenile facilities. But public support for Roloff Enterprises continued to grow, and the homes were opened throughout most of 1977 and 1978. On November 1, 1977, Roloff and his associates staged a patriotic rally in Dallas called "Save Our Nation," which was attended by over 10,000 people, including 1,500 preachers. Acting on the advice of Hill and other attorneys, Roloff took his case to the United States Supreme Court, which upheld the Texas law on October 2, 1978. Again, the state ordered Roloff to shut down the homes unless he submitted to a DHS license in June 1979. Rather than allow the young residents to be taken to state facilities, Roloff had them sent to the ministry's homes in Georgia and Mississippi. As part of that move, he and his supporters staged a protest rally on the grounds of the People's Baptist Church, attended by many prominent evangelists and concerned laypeople from across the nation, including Vietnam veteran Clebe McClary. This event became known as the "Christian Alamo." At that time Roloff Enterprises transferred ownership and operation of the homes and property to the People's Church, a move that enabled the homes to be opened once more in September. Although state officials continued to harass Roloff, prompting court appearances in Corpus Christi, Laredo, and Austin, thousands of troubled youth were again ministered to in the Rebekah and Anchor Homes. Despite his intermittent conflicts with the DHS, the visionary Roloff continued to expand his ministries. In 1980 attention was brought to him by a burdened missionary of the desperate plight of American Indians in the desert Southwest. As a result, in February 1982, Roloff purchased seventy-five acres of farmland in Fort Thomas, Arizona, near the San Carlos Apache Reservation. Christened "Regeneration Reservation," this ministry was set up to make disciples of young Indian students and train them to reach others among their people. Regeneration Baptist Church, pastored by Roloff staff associate Scott Murphy, became the nucleus of this enterprise. At many of his engagements, Roloff often remarked how he looked forward to taking that "ride" to Heaven. Throughout his ministry he had piloted several small aircraft on his tours and had experienced a few near-mishaps. On November 2, 1982, Roloff and four young female staff workers were killed when their plane crashed near Normangee, in Leon County, during a flight to a preaching and singing service they were scheduled to conduct. Following a memorial service, he was interred in Memory Gardens Cemetery across the road from and near the home in which the Roloffs had lived since 1972. Wiley Cameron, who had joined the staff in 1974, succeeded him as pastor and administrator of Roloff Enterprises. By the end of 1985, mounting problems with the DHS prompted the Roloff ministries to "exile" the Rebekah and Anchor Homes to Belton, Missouri, where dormitory space was provided by Calvary Bible College, until such time as legislation could be passed to free them from state control; that arrangement continued on into the following year. In 1987 the Peaceful Valley Home in Mission was sold to help meet mounting expenses. The rescue missions and other ministries have continued to operate "by faith" from funds contributed by People's Church members and other supporters nationwide, without any government aid. The "Family Altar" program continues to air over some 120 stations throughout the United States and the West Indies, including nine 50,000-watt stations. In 1978 Marie Roloff, who had served over the years in various teaching and supervisory capacities, published a biography of her husband, Lester Roloff: Living by Faith. BIBLIOGRAPHY: Houston Post, November 3, 1982. Vertical Files, Barker Texas History Center, University of Texas at Austin. is our emancipation proclamation: let's take it to the slaves of sin." Lester Roloff was born in Dawson, Texas, in 1914. His conversion at the age of fourteen came during a revival meeting when a godly Sunday school teacher urged him to give his heart to Christ. He received his education at Baylor University, taking his Jersey cow, "Marie," along with him and paying for his room and board with four gallons of milk per day. After finishing school, "Brother Roloff" conducted a work of ministry both as a pastor and as an evangelist in his own inimitable style. His ministry touched the lives of millions of people throughout the USA and in many foreign countries. Brother Roloff was never shy about voicing his convictions. He opposed Baylor University's plan to grant an honorary degree to President Harry Truman because of his frequent use of profanity. In 1950, he separated from the Southern Baptist Convention. In 1969 Roloff became pastor of the People's Church in Corpus Christi, Texas. Under his leadership, the church began an outreach ministry to troubled teens and adults under the blanket name, "The City of Refuge." Roloff's homes included: Rebecca Home for Girls, Anchor Home for Boys, Lighthouse for Men and Boys, and the Jubilee Home for Women. Roloff fought an eight-year battle with the state of Texas regarding licensure of his ministry. He refused to allow his church ministries to come under the control of the state. "This is going to be the greatest day of my life," Lester Roloff said to a friend as he flew off to a meeting on November 2, 1982. And truly that was his greatest day, for on it he completed his earthly journey and reached his heavenly Home. The church and the homes he started were not ended by his death in a plane crash; they continue to this day. 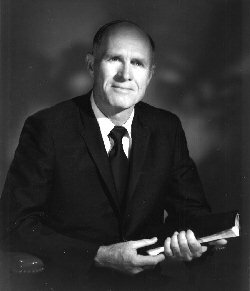 Lester Roloff was one of the most amazing people God has ever called into the ministry. His heart for sinners, especially those upon whom the world had given up, was unmatched anywhere. He founded homes for boys and girls, men and women, children and seniors, and made these places where people who had no hope could find help to begin life new with God. He was maybe known best for the "Family Altar Radio Program" and the Roloff Evangelistic Enterprises, which both continue on today, long after Brother Roloff's passage to Heaven. You can catch the Family Altar Radio Program online at www.woak.org and www.wsof.org. You may download the sermon in MP3 format by RIGHT mouse-clicking HERE to save. “Do you know the more righteous you try to live, the ungodly people are not impressed with it, don't care for it, and totally, truly, despise you for doing it! The more right you try to do, the more you're despised for doing so! There are people who want to justify sin in the world, and you and I that live right are a rebuke to them for such!” —Pastor Ralph "Yankee" Arnold, from the MP3 sermon, "As it Was So shall It Be."